The lesions of the soft tissues are rare and extremely heterogeneous; even if the surgical treatment is usually the standard therapy, the role of the interventional radiology (IR) in this field is growing up for multiple reasons. First, because the imaging alone usually is not able to ensure a definitive diagnosis, IR has a basic role in the staging: the percutaneous biopsy is infact an irreplaceable step. Moreover, biopsy is necessary not only for histologic evaluations but also for the biochemical and molecular studies. 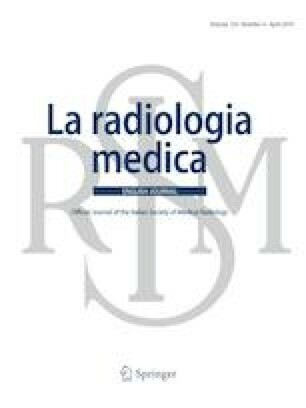 Furthermore, the proved safety and effectiveness of IR in a multiple oncologial applications prompt a wider use also in this field.